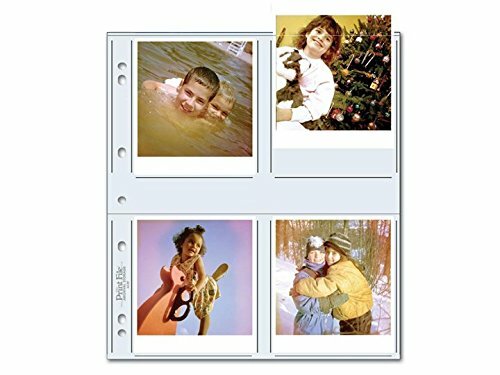 Clear page holds eight 4" x 4-1/2" Polaroid prints. Fits in most 3-ring binders. High clarity 8 mil polypropylene.